The inevitable wake-up call is here. We took quality drinking water for granted. Three months of minimal rainfall since May has inflicted overnight water restrictions for one-third of the population. This weekend, hotels pubs and restaurants don’t know whether tourists will be able to use toilets or wash their hands up to midnight. The forebodings for later in the year are dire. This is what happens when spare water supply capacity to the capital is within 2pc of demand. Constant risk of outages will persist when we roll the dice with minimal spare headroom of available reservoirs of water. We’re paying the price for inadequate investment, planning, political cowardice and populism. Despite having the wettest climate of any European country adjoining the Atlantic, we can’t organise nationwide 24-hour supply. Southern Mediterranean countries Spain, France, Greece and Portugal, with a fraction of our rainfall, manage, while our banana republic runs dry. Our embarrassment is entirely attributable to public policy and political failure. We’re an outlier in Europe on water/waste water, having breached EU water framework directives and been repeatedly fined. Much of our 58,000km of water mains are twice the age of the average European network and in deteriorating condition. Contaminated supplies still persist. We depend on water tunnels from the 1870s. Cast-iron pipes have severely rusted. Fragile asbestos cement water mains from the 1960s regularly burst. Meanwhile, 49pc of treated water is lost to leakage. Two-thirds of our 25,000km sewer network is severely defective. There’s also a large backlog of locations where sewage is being discharged with either no or just preliminary treatment. Water is the most precious vital human commodity. We face further climate change of drier summers and wetter winters. Simultaneously, we aim on the east coast to expand the population by 500,000 by 2040. Water supply infrastructure for these houses isn’t in place. The economics of water supply are no different to that of other public utilities like electricity, gas, telecommunications or broadband – which we unquestioningly pay for on a commercial basis. Our politicians give us what we demand; water comes for free. Unmetered, without any obligation or penalty to conserve or prevent waste. Put hundreds of thousands of protesters on the streets and our compliant, pussycat politicos give you utopian water. The rollout of national networks to 1.36 million households requires consistently integrated efficient construction, operations and maintenance. The much-derided Irish Water presents the best possibility of consistent systemic solutions through a State-owned single utility rather than the previous ad hoc hand-to-mouth duplication of 31 separate local authorities. Irish Water’s original seven-year business plan up to 2021 targeted €1.1bn inefficiencies/cost savings (including 1,500 staff cuts) and capital investment of €5.5bn in water infrastructure. This blueprint set out long-term requirements for €25bn investment over two decades to overcome legacy under-funding, fragmented structures and diseconomies of scale. Typically, our political system torpedoed the strategy. After three long years of protests and climbdowns New Politics refunded €173m of water charges paid by 990,000 householders; scuppered €240m of lost revenue; farcically paid out unconditionally €100 water-conservation grants, costing €94m. The principle of paying for water was abjectly abandoned. This water war (2014-16) was the latest debacle of a long saga. Local service charges of £70-£235 per annum were introduced in 1983 in most rural counties – but resisted by protests in the cities of Limerick, Waterford and Dublin. In January 1994, when Dublin’s local authorities were divided into four separate councils, water charges were introduced of £50-£93 annually. After street/court protests, disconnections and elections, on December 19, 1996, the environment minister announced water charges for householders were to be replaced by a system of reallocating road tax receipts. It was a victory for left-wing protest politics – and a defeat for national progress in providing a modern sanitary services system. Lessons from these political scars are consistent and clear. Remember “Double Taxation & Regressive Taxation” mantras. Collecting essential finance from householders for water became a no-go zone politically. Protesters will defeat any putative semi-state company or even local councils through civil disobedience and boycotts. The Revenue Commissioners are the only sheriff in town when it comes to enforcing the law for household charges. Ergo, TV licence fee evasion has compelled collection to switch from An Post to Revenue. Ireland is the only EU state that does not require householders to pay for water of drinking quality or wastewater treatment. But independent regulatory office CER’s 2018 water budget arithmetic confirms it’s not free: €1.85bn of current operational cost and €1.23bn of capital provision. 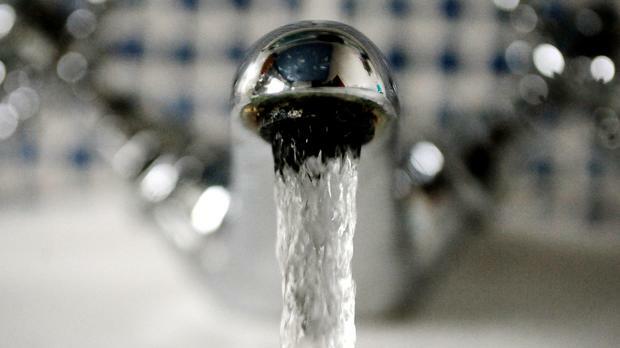 The capital and the midlands together need an additional 330 million litres of water per day by 2050 – but it can’t come soon enough in the face of a trickle through taps tonight. The solution is the €1.3bn River Shannon water supply project. This proposes to pump 5pc of the water in the Parteen Basin to a treatment plant at Birdhill, Co Tipperary, to a new reservoir as Peamount, Co Dublin, through a pipeline 170km long. However, objectors are always hovering. Financing water is currently subject to the annual bun fight of governmental budgetary arm wrestles. This human necessity gets in the queue in the battle for resource allocations, alongside social housing, hospital trolleys, more teachers and gardaí. Central funding is the political cop-out of choice – the fairy godmother of free water. So it’s time to put water financing on a sustainable secure footing. Prior to 1978, domestic household rates co-funded water needs. The local property tax (LPT) receipts last year of €477m are set to double over time, thanks to increased house values from the 2013 baseline. The Department of Finance currently is undertaking an LPT review. So the sensible permanent solution to chronic underinvestment in our water infrastructure is to earmark 50pc of LPT revenue to Irish Water, collected by the Revenue Commissioners. Do holidaying politicos have the nous to consider this blindingly obvious antidote to the national drought? Dream on.